What’s better than free pancakes? Free pancakes for an amazing cause! 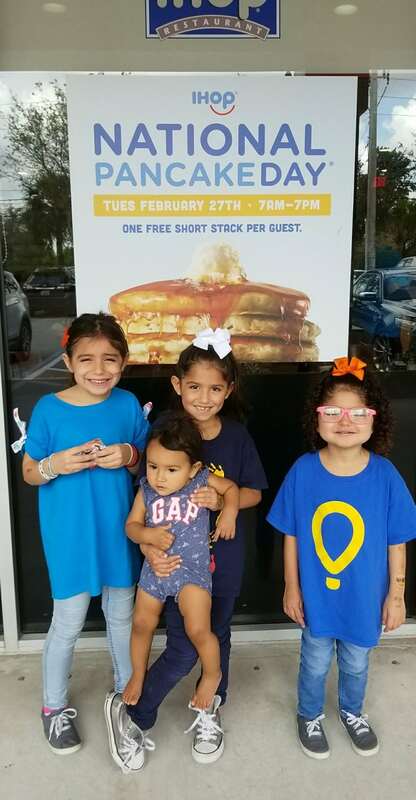 Last week, IHOP locations celebrated National Pancake Day by giving away a free short stack of pancakes to guests, while encouraging them to make a donation UF Health Shands Children’s Hospital in return. 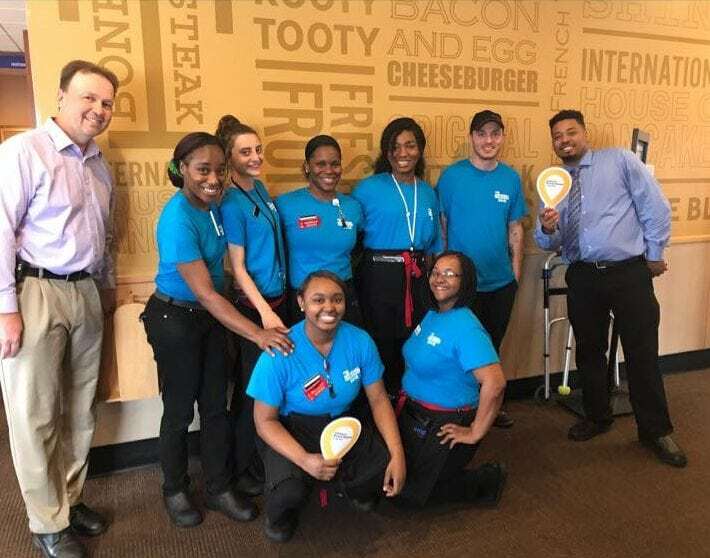 IHOP team members create lots of fun, positive energy in their restaurants to bring awareness to their partnership with Children’s Miracle Network Hospitals. Funds raised during the IHOP National Pancake Day campaign help kids like 6-year-old Bella, pictured below, who was one of the youngest patients in the state of Florida to have ever received a heart and lung transplant. Since then, she has defied the odds and has endured over thirty hospitalizations since her transplant. Funds raised ensure that kids like Bella receive the best care possible at UF Health Shands Children’s Hospital. Bella is serving as the 2018 Local Champion for UF Health Shands Children’s Hospital. Bella, pictured here with her 3 sisters at their local IHOP, is serving as the 2018 Local Champion for UF Health Shands Children’s Hospital. IHOP #123 on Pine Ave. in Ocala, Florida goes above and beyond to raise funds for UF Health Shands Children’s Hospital. This year, they hosted local celebrities to flip pancakes and collect donations at their restaurant. These celebrities including law enforcement staff, local Children’s Miracle Network Hospitals Ambassadors, and the Ocala mayor Kent Guinn. 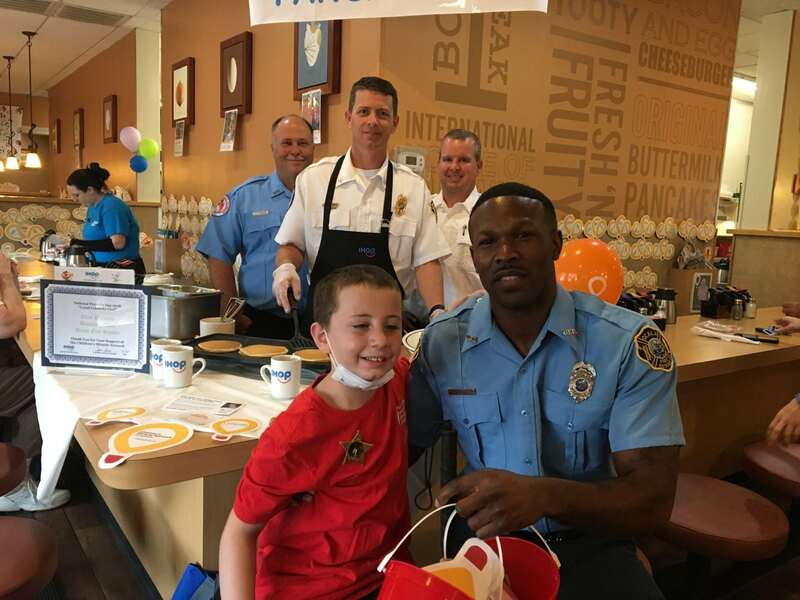 CMN Ambassador Ayden helps the Ocala Fire Rescue team flip pancakes and collect donations. 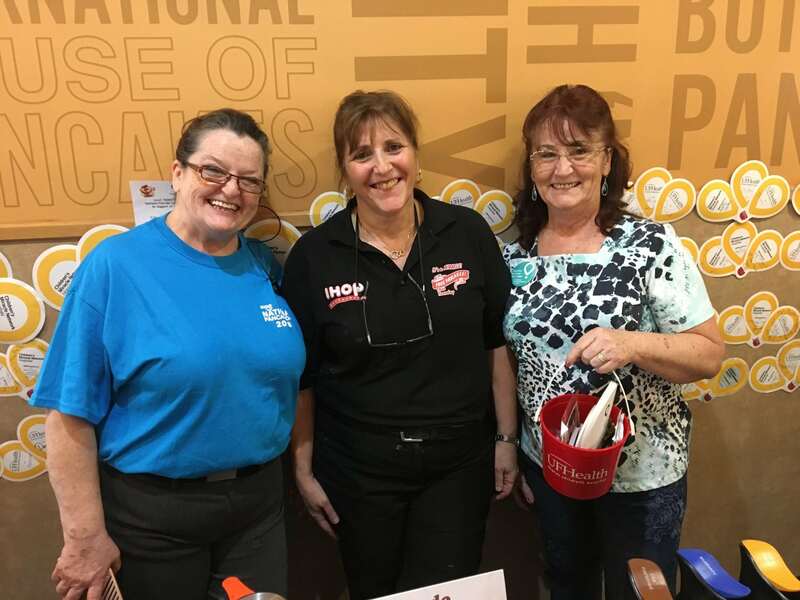 IHOP managers Joan and Cathy, along with dedicated volunteer Ginger, work tirelessly to ensure that National Pancake Day is a success. 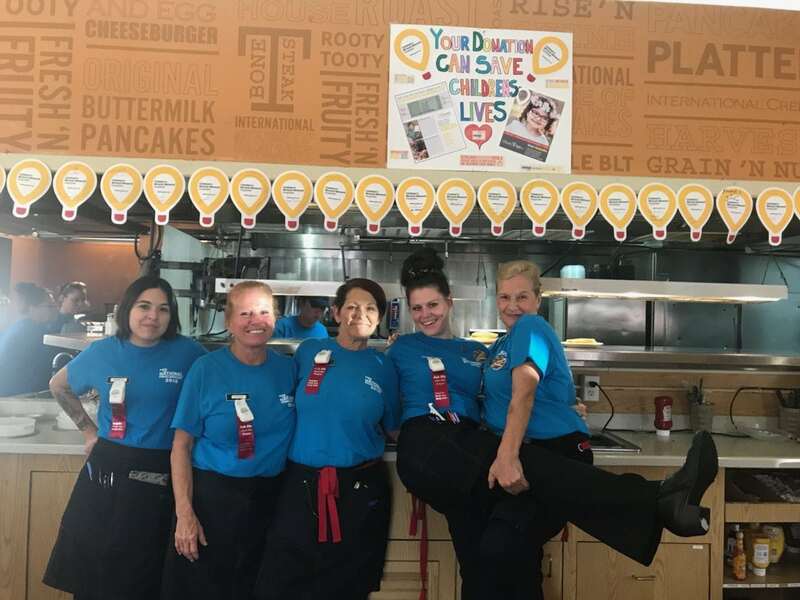 Their restaurant raised over $17,000 for UF Health Shands Children’s Hospital last year, earning their spot as the top location for their local CMN Hospital. Cathy Konya, Joan Saia, and Ginger Recanzone are all passionate about helping the kids at UF Health Shands Children’s Hospital. Joy and her team at IHOP #194 also enjoy National Pancake Day. This year, they had several CMN Ambassador families visit their location. 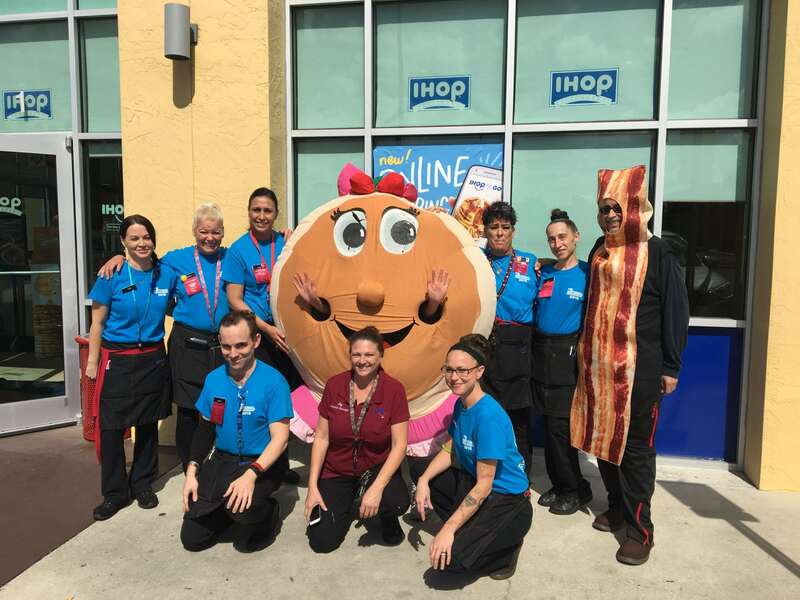 They also had team members dress in a pancake and bacon costume to bring in customers to their restaurant, and having some fun in the process! The #194 IHOP team pose for a photo outside their restaurant during National Pancake day. The Thomasville IHOP team takes a break for a group photo in between serving stacks of pancakes. 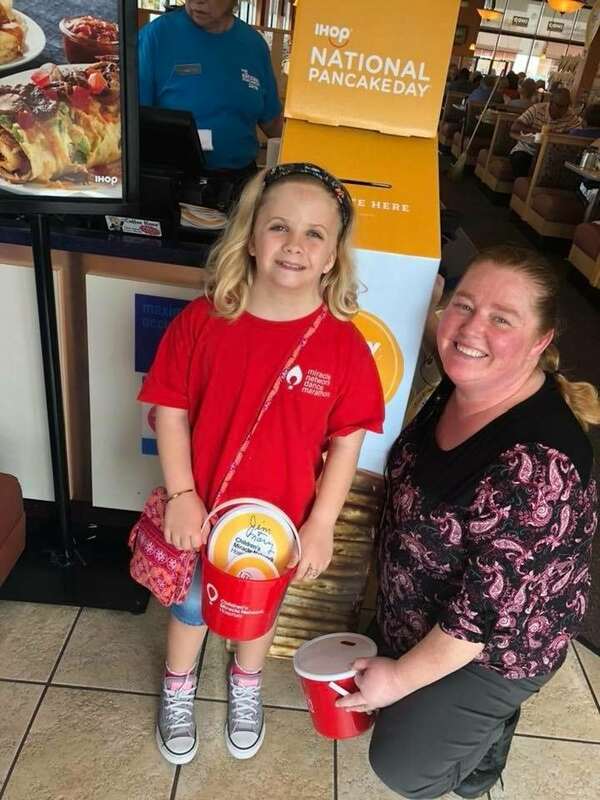 Bailey, CMN Ambassador, visited her local IHOP in Ocala to thank them for supporting the hospital she receives care from. More than $530,000 has been raised for UF Health Shands Children’s Hospital since the partnership between IHOP and CMN Hospitals began 13 years ago. Thank you, IHOP for your dedicated support, and for the delicious pancakes!